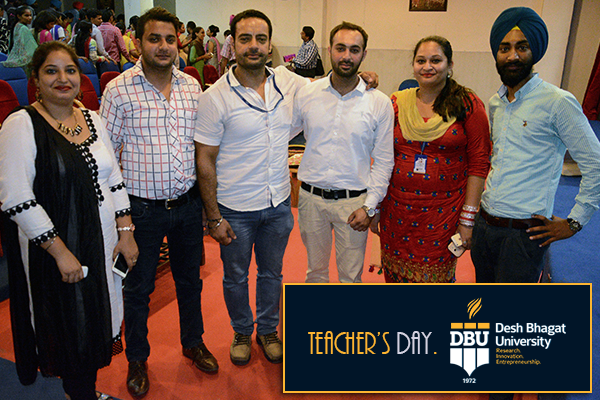 In the best university in Punjab and in top universities in India, Desh Bhagat University and Desh Bhagat United celebrated Teachers' Day in a big way in which teaching staff and students of different faculties took part. 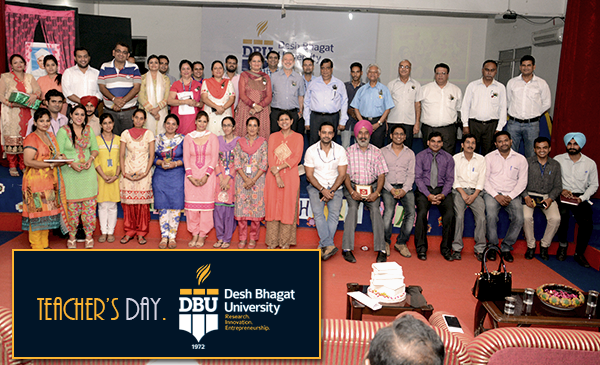 Dr. Zora Singh, Chancellor, Desh Bhagat University, Chairman of Desh Bhagat United and Desh Bhagat inaugurated the event. Paying respectful homages to Dr. Radha Krishanan, the late President of India, and a great teacher, educationist, and philosopher, Dr. Zora Singh said, ‘Teachers can play a great role in the development of the youth, the society, and the country. The developed nations & societies ruled the world by virtue of their ‘knowledge’ and the source of this knowledge is the teacher. 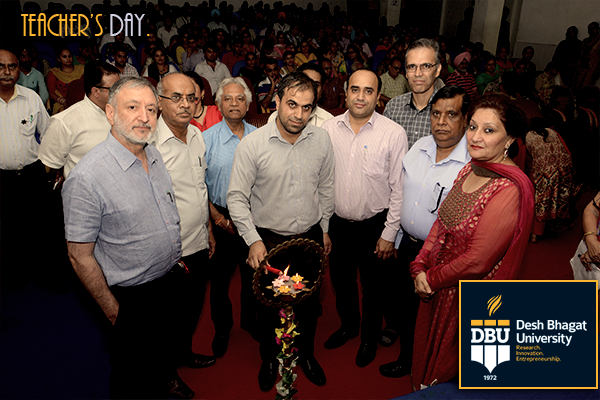 Dr. R. K. Sinha, Director Central Scientific Instruments Organisation (CSIO), Chandigarh, was the Chief Guest on this occasion. While speaking on the occasion he said that Teaching is a Nobel and very responsible profession, teachers should do the psychoanalysis and adopt social outlook because a teacher is his own judge. Mr. Yousef Jamali, Mr. Sadegh Delighan and Mohammad Panahandekpoor all from Iranian School, New Delhi were the Guest of Honour. 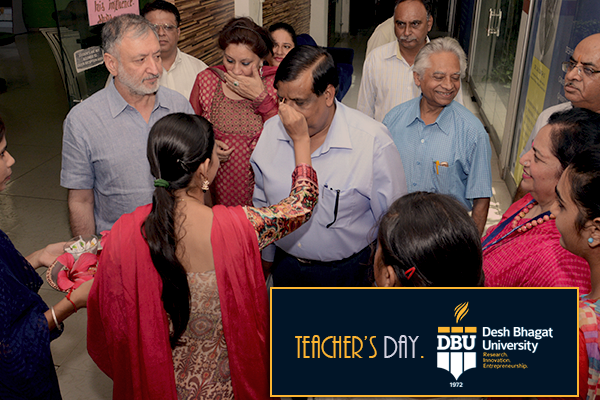 Vice Chancellor Dr. Virinder Sing and Pro Vice-Chancellor Dr. Shantnu Chattejee congratulated everybody on this occasion and told the teachers to recognize their worth and adopt professional ethics and moral values. 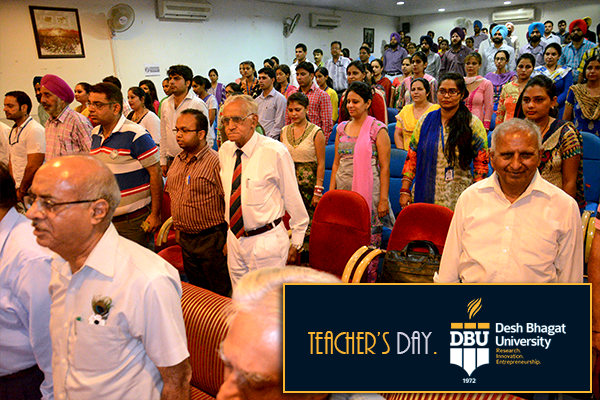 The highlight of the function was the Awards Function to honor the Directors, the administrators, the teachers and the non-teaching employees for their special contribution and distinguished services to the cause of education and development of the group & the University. 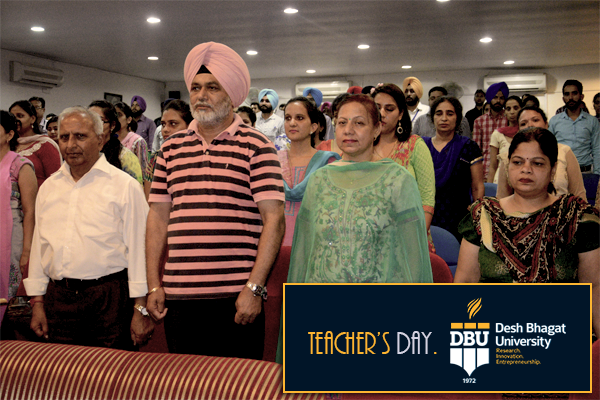 Pro-Chancellor Tejinder Kaur proposed the vote of thanks and said that a teacher is like a friend, a guide, a philosopher and a lighthouse who shows the right path to the students and makes their lives worth living. On this occasion, a colorful cultural function was organized, in which students, as well as teachers, performed on the stage. 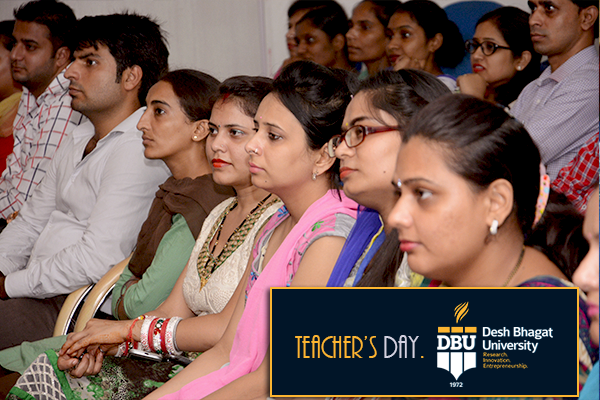 The entertaining part of the programme was the students enacting & mimicking their teachers. They sang situational songs for them and presented greeting cards as a token of their love and appreciation. 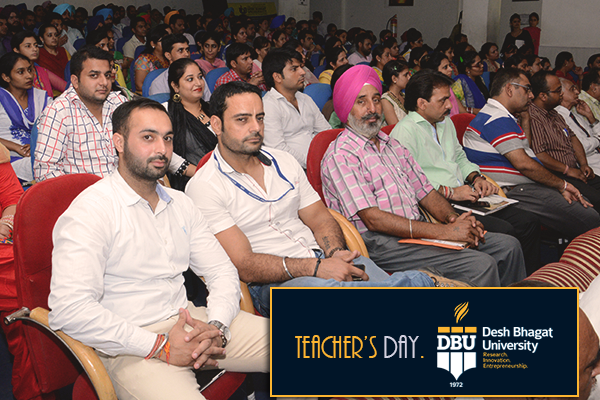 The program ended with a sumptuous brunch and leaving behind sweet memories those will be cherished lifelong.